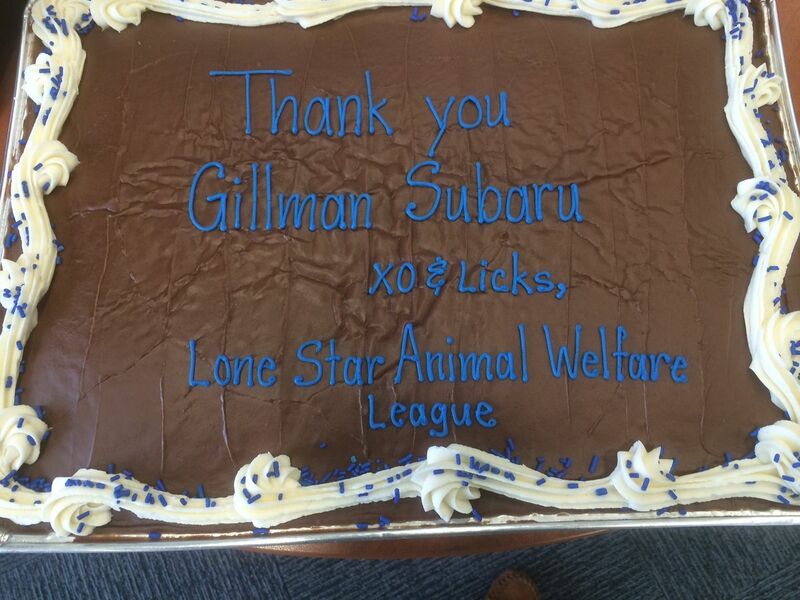 Please JOIN Lone Star Animal Welfare League and Gillman Subaru and SHARE THE LOVE!! 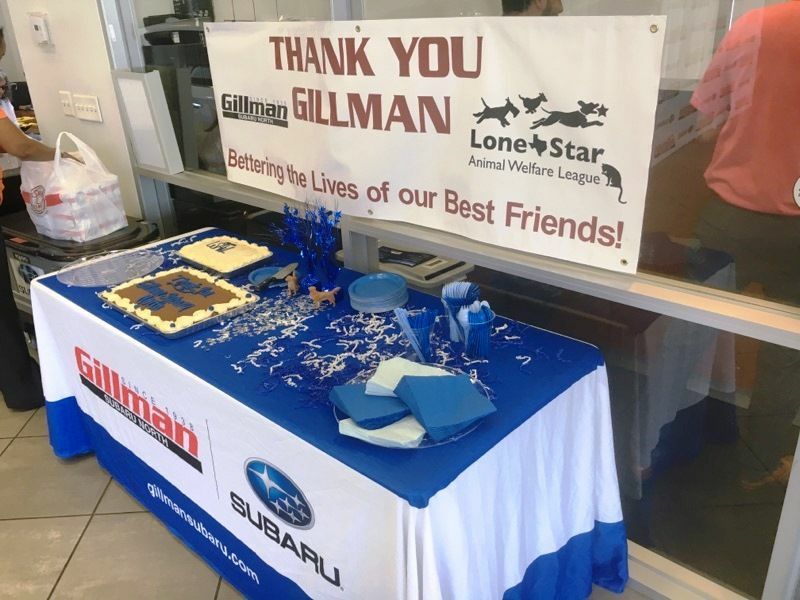 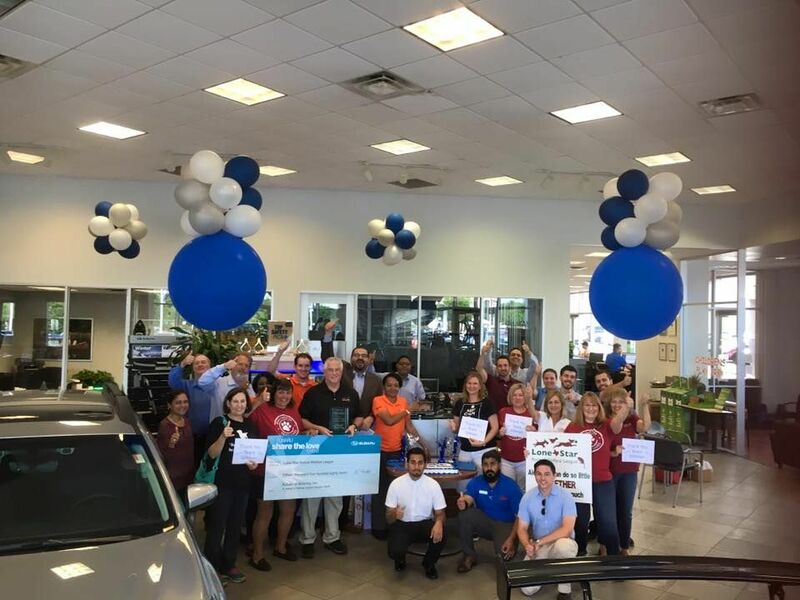 Once again, Lone Star Animal Welfare League was overwhelmed with the generosity and support from Gillman Subaru North on May 5th, 2018 . 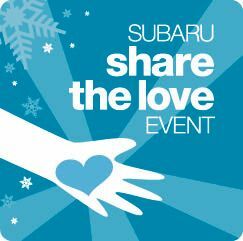 This incredible donation made possible by Subaru's Share the Love program late 2017 will further our missions : Fixing Montgomery County and Lab Rescue . 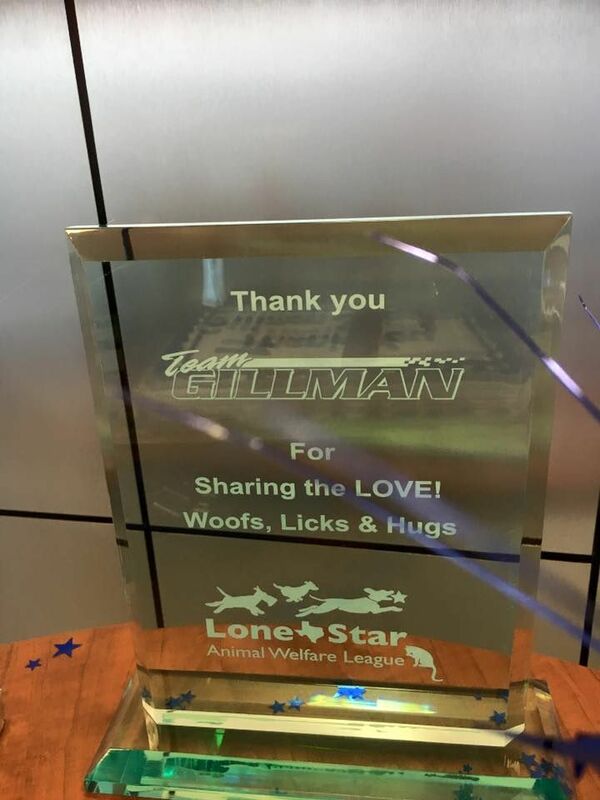 Their partnership has helped us achieve incredible results throughout the years by helping us spay and neuter over 4500 dogs and cats and saving 3000 labs. 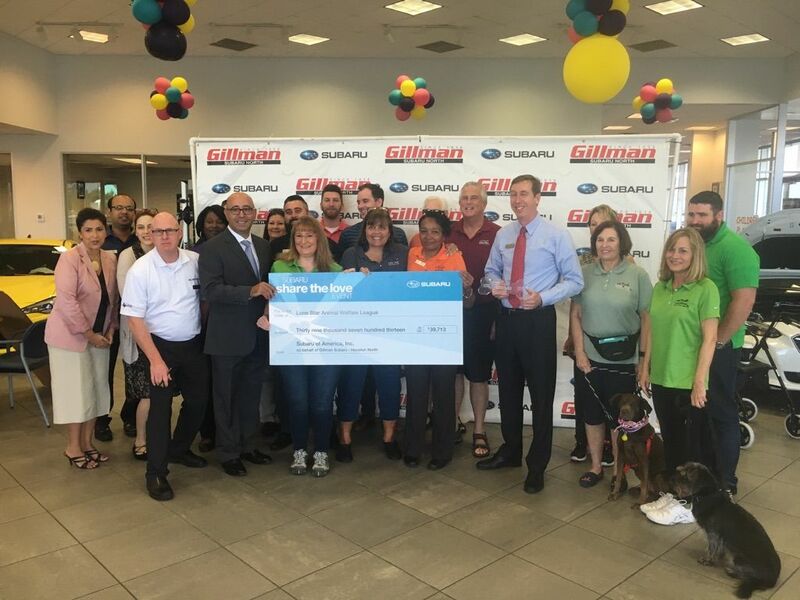 Subaru North is a great sales team with a strong commitment to the people and the welfare of animals in our community . 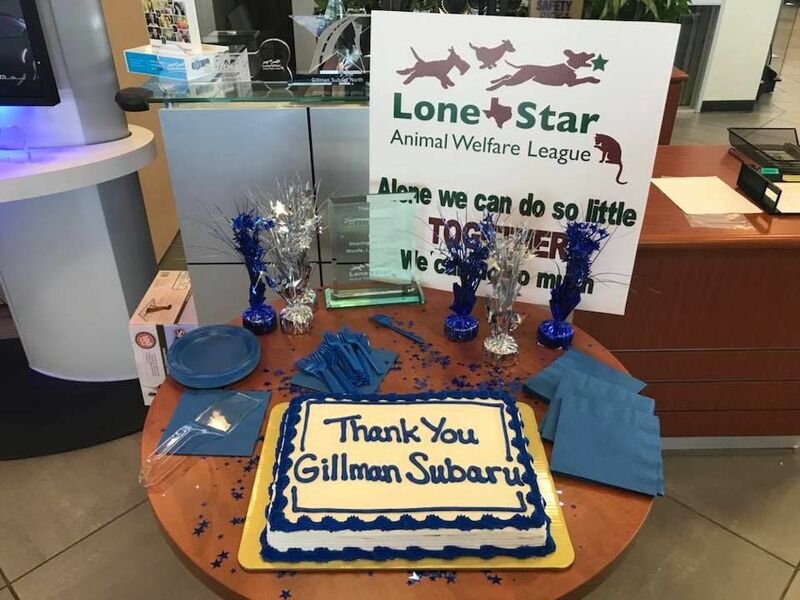 Lone Star Animal Welfare League was overwhelmed with the generosity and support from Gillman Subaru North this morning (April 14th, 2017) . 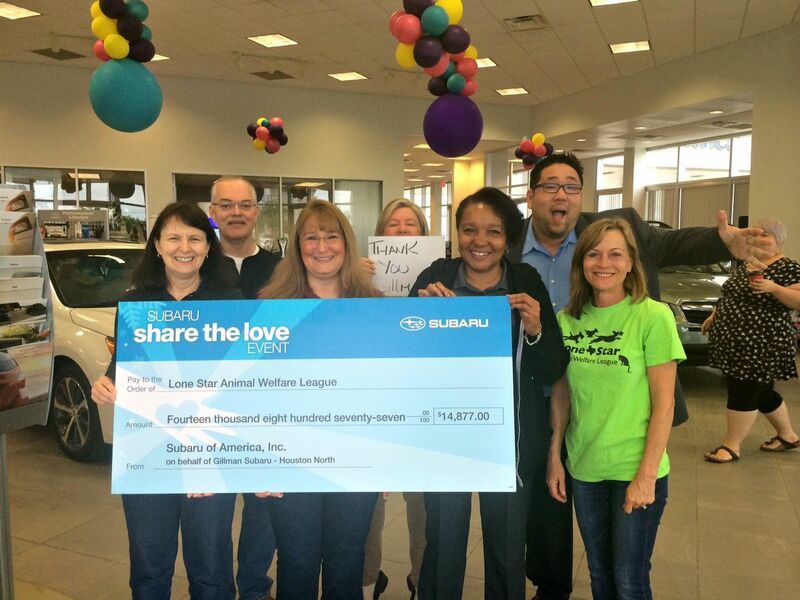 This incredible donation made possible by Subaru's Share the Love program late 2016 will further our missions : Fixing Montgomery County and Lab Rescue . 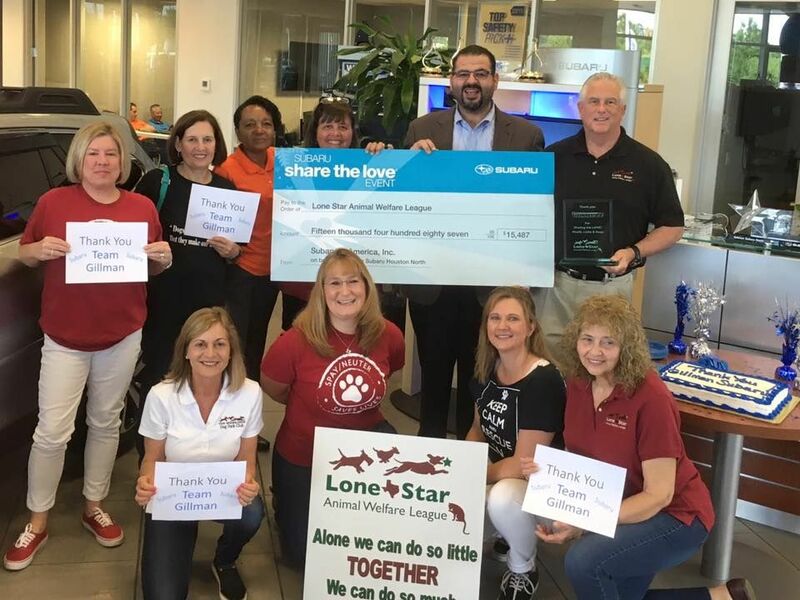 Their partnership has helped us achieve incredible results throughout the years by helping us spay and neuter over 4000 dogs and cats and saving 2900 labs . 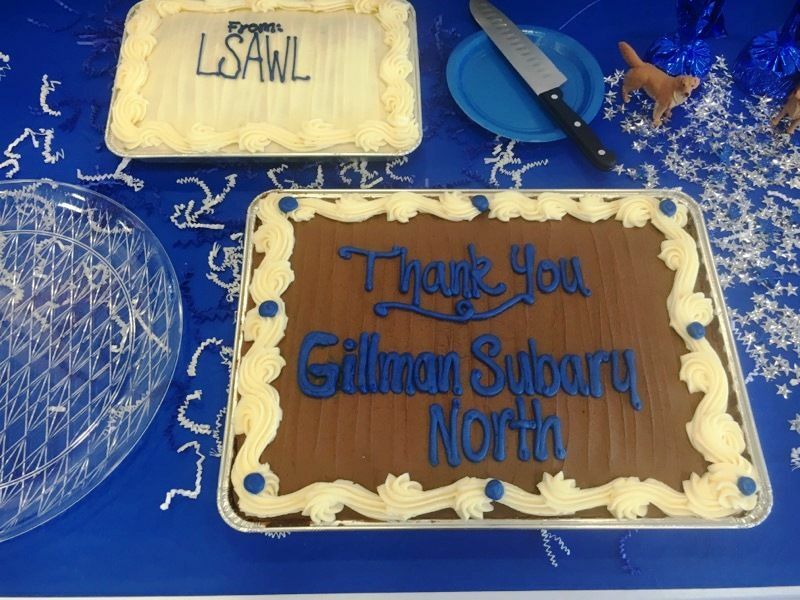 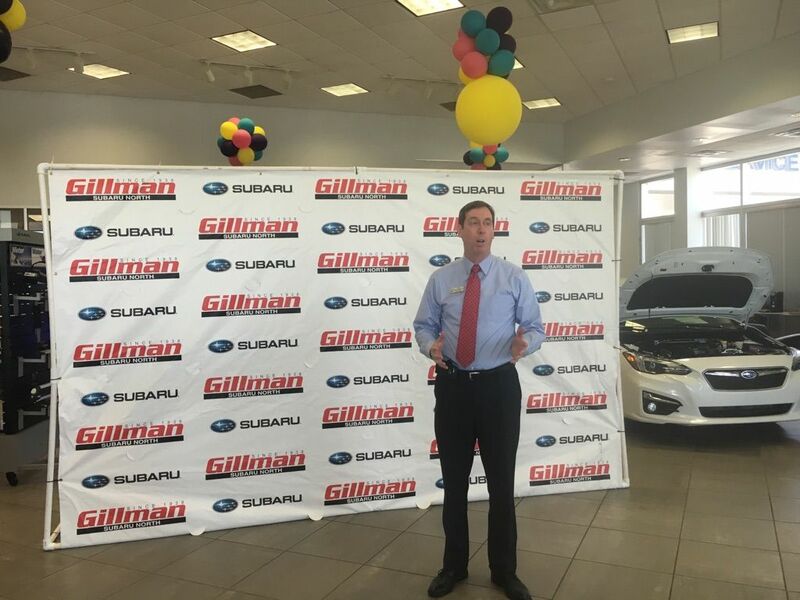 Thank you Gillman for your Incredible support ! 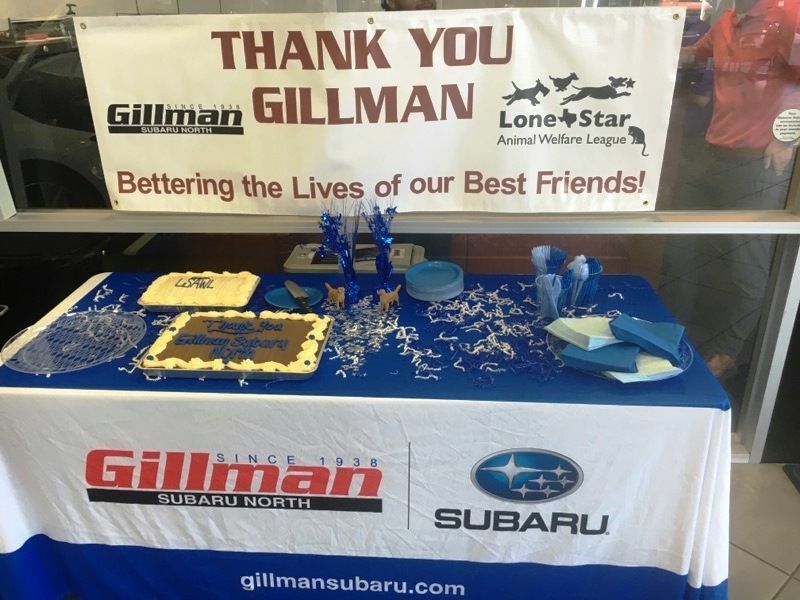 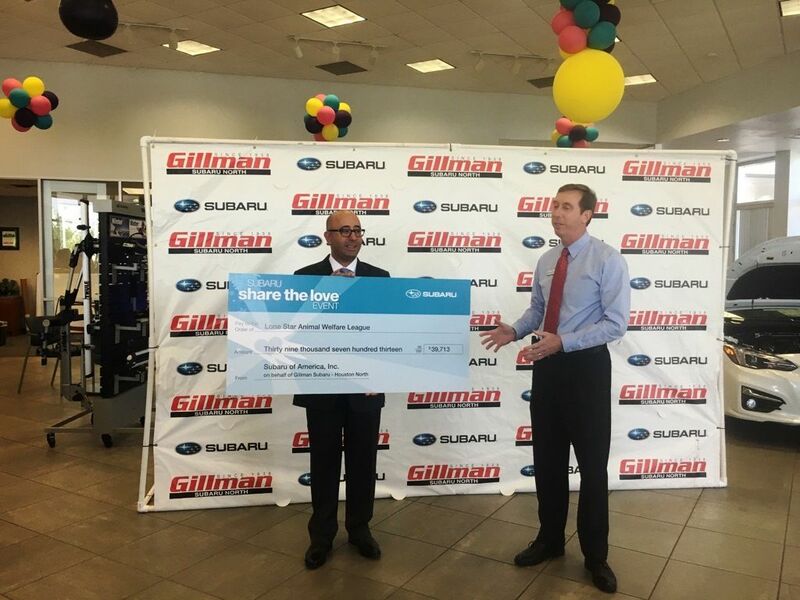 THANK YOU SUBARU and GILLMAN SUBARU for working to give back to the community and helping the cause of homeless animals !